saturday we had more quality time with the swindles, who invited us to the old crow medicine show concert at red butte gardens. we originally told them we couldn’t go because it was too expensive – $50 tickets! – but then they clarified that they were inviting us because they had free VIP tickets they wanted us to use! bonus. old crow medicine show is a bluegrass band from oklahoma with a whole lot of hillbilly music, so it was a fun group to see live. they were hoopin and hollerin and running around the stage the whole time, and we danced so hard we had to rest for awhile in the middle of the concert in our VIP lawn chairs (everyone else in the venue sat on blankets). we brought a picnic dinner and snacked on tasty treats the whole night, danced hard and then the encore song brought in the thunder and lightning and rain – just in time for us to leave! it really brought the summer magic. and inspired us to work on our banjo/violin duo some more. 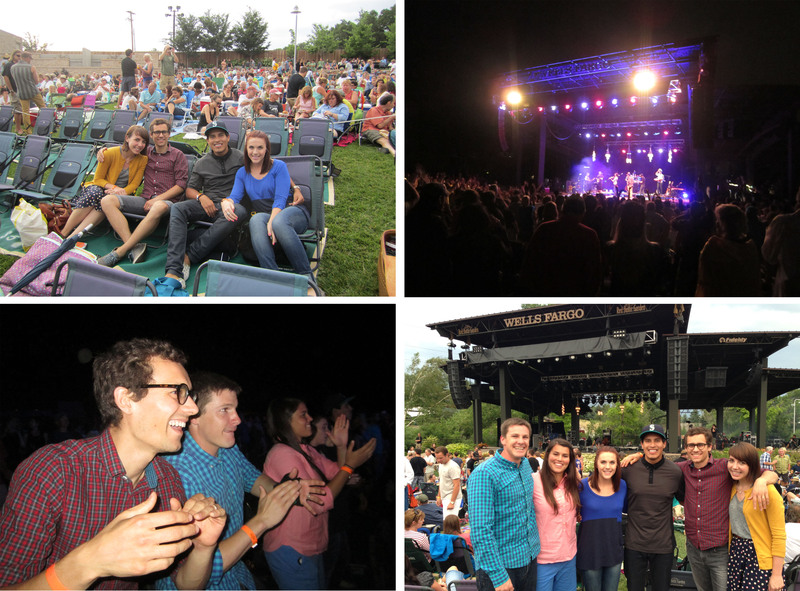 This entry was posted in salt lake city and tagged concerts, old crow medicine show, summer. Bookmark the permalink.